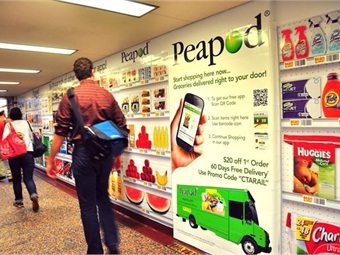 U.S. Internet grocer, Peapod partnered with supermarket chain, Giant for a first-of-its-kind offering that will allow shoppers to place their orders online and pick them up at one of three Washington Metropolitan Area Transit Authority (D.C. Metro) rail stations. The new Metro Peapod service began Feb. 1, 2016 and is available at the Fort Totten, Glenmont and Vienna stations. Peapod will monitor this pilot program closely for expansion opportunities in additional metropolitan markets. "We are excited to partner with Peapod to provide our riders a new, convenient, time-saving option to complete their grocery shopping without having to deviate from their daily routine," said Paul J. Wiedefeld, Metro GM/CEO. "These initiatives are important so that we can see which amenities work best for our customers." To use the service, Metro riders can simply place and pay for their order through Peapod's online service, with pick-up options between 4 and 7 p.m. Mondays, Wednesdays and Fridays. With average transaction times estimated at no longer than five minutes, Peapod-equipped Metro stations will feature lockers where groceries are stored and an on-site Peapod attendant to load groceries directly into customers' cars. For consumers on the go, Peapod's Metro service is an ideal solution for all their grocery needs. In fact, at least 50% of all Peapod orders are placed on mobile devices, making public transportation the perfect place to multitask. "Giant knows that customers are constantly on the go and looking for ways to save time and money, without sacrificing service and quality," said Gordon Reid, Division President, Giant Food of Landover, MD. 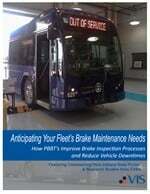 "As part of their daily commute, customers can simply exit a Metro station and grab their groceries on the way home. We're proud to partner with WMATA to take this innovative step into the future of city planning and convenience for our customers. " In addition to the three new Metro pick-up locations, Peapod by Giant also offers more than 50 pick-up locations across Washington, D.C., Maryland, Virginia, and Delaware. To learn more about Peapod, visit www.Peapod.com or the brand's social media channels.